The foundation of every garden is healthy soil. Healthy soil gives you fruit and vegetables full of nutrients, protects your plants during droughts, and supplies you with a wonderful harvest. But don’t worry. 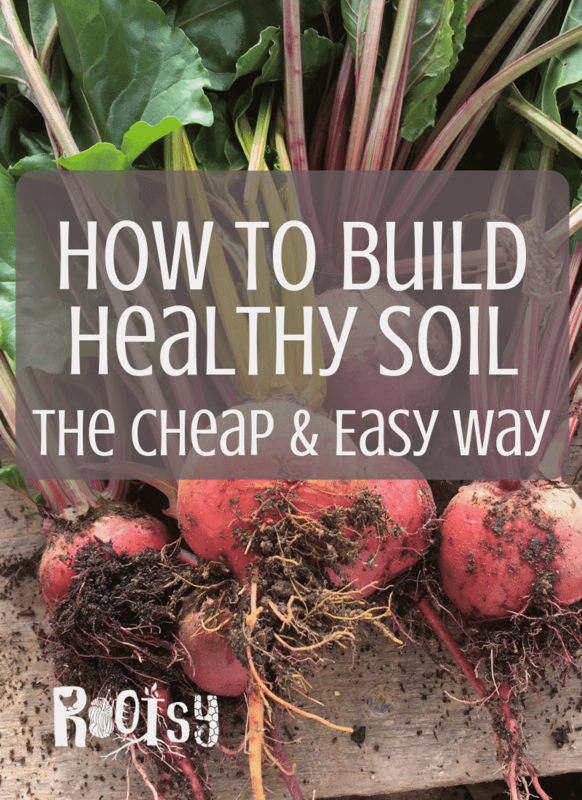 I’m here to teach you how to build healthy soil the easy and cheap way. Yes, there’s still some work involved, but this will be the easiest and cheapest method with amazing returns! One of the biggest keys to healthy soil is microorganisms. Just what are microorganisms? Basically, microorganisms are your best shot for healthy soil. They take natural matter and use it to return nutrients to soil, which puts nutrients into your plants, which in turns gives you healthier plants and healthier food. Frequent tilling and disturbance of soil is one of the fastest ways to destroy microorganisms. So just how do you keep them in your garden? Don’t till it! Whether you call it the “Back to Eden” method or “Lasagna Gardening” method, both will give you a similar result. Easier gardening with healthier soil. Both involve layering organic material, compost, and some sort of covering over your garden. Both methods start with either a layer of newspaper or cardboard, soaked with water. 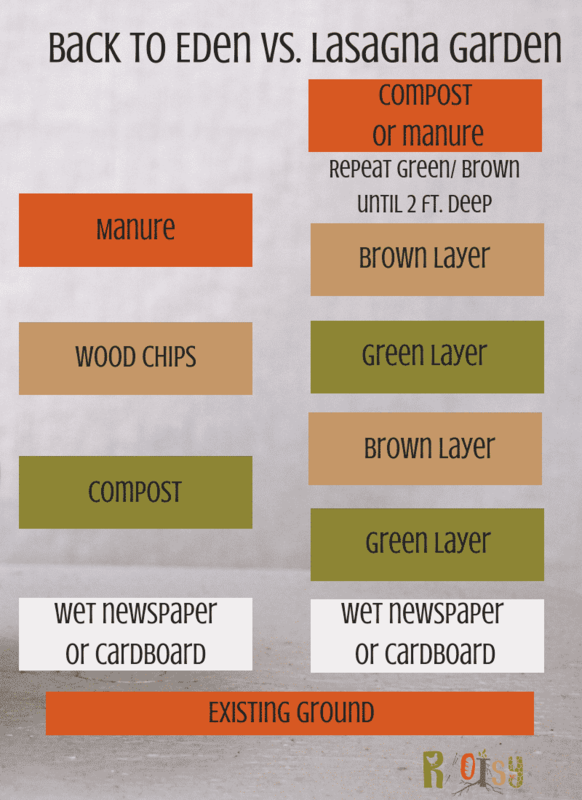 After the base layer, lasagna gardening involves several alternating layers of “green” (veggie scraps, lawn/ garden clippings/ manure/ peat moss) and “brown” (fall leaves/ shredded newspaper/ pine needles/ straw) materials, much like layering your compost bin. Back to Eden gardening layers compost or manure and then woods chips. Both of these layers will fill your garden with microorganisms and earthworms, which will in turn fill your garden with organic nutrients. So just how to build healthy soil the easy and cheap way? Sure, you could buy garden soil by the cubic yard to start your garden. 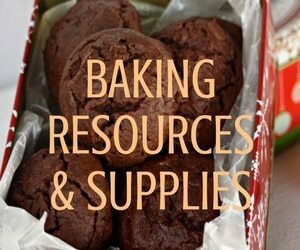 You could buy bags of manure, and you could even buy worms for the garden… $$$$$… But there are some much cheaper options out there. Start your own compost bin today. You could build one with scrap wood you have laying around or even an old trash can. I currently have three trash can compost bins working on my compost. Drill air holes all around the trashcan to ensure lots of oxygen which will help breakdown what you put in your bin. Put the lid on the trash can and roll it around for easy “churning” of your compost. 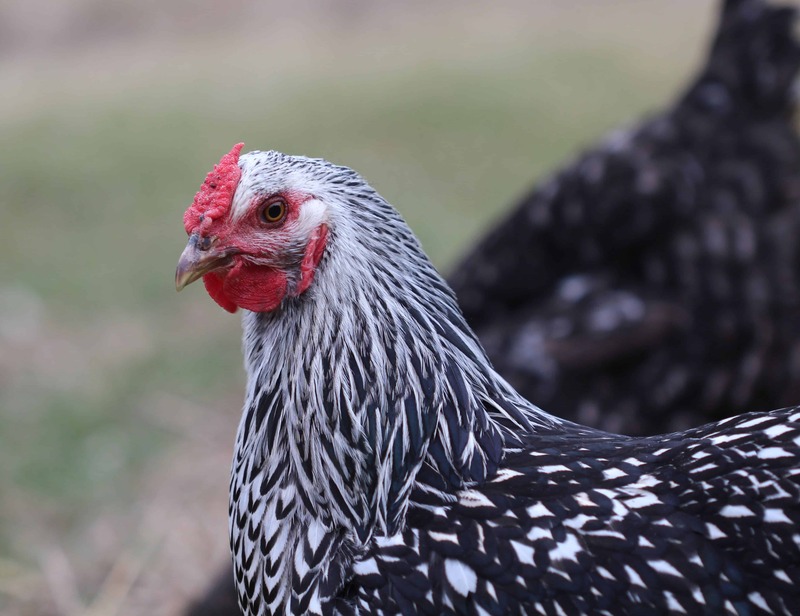 Have chickens or thinking about adding some to your homestead? This is a REALLY easy way to get lots of healthy compost and soil. Feed your veggie scraps to your chickens and let them do all the compost work for you. In the spring, dig out well manured soil from the chicken run to add to your garden. I also compost down all the bedding from my chicken coop. This makes the perfect manure for my garden beds! I’ve had potatoes grow beautifully in record time due to using the chicken bedding. Back to Eden founder, Paul Gautschi, swears by his chickens for not only healthy eggs, but giving him healthy and easy compost for his garden. Can’t do chickens? Consider worms. 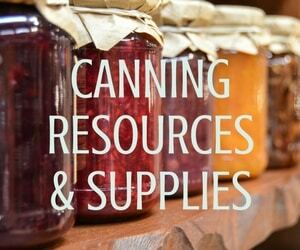 You can set up an indoor worm composting system and harvest the worm castings. This is a great project for children and a fun way to quickly compost fruit and vegetable scraps. Worm castings are basically worm manure and are full of nutrients for the garden. Worm casting can be used in the garden and in potted plants as fertilizer. Don’t forget to be kind to the worms that are already residing in the garden soil. Tilling the soil can destroy the worm population as can using pesticides. Earth worms will loosen the soil, eating and leaving worm castings as they go. It’s truly no work for you. Cover crops is another way to add nutrients back into your soil. Believe it or not, there are plants that actually add nitrogen and other nutrients to soil as they grow! There are several “green manure” crops that will help you out if you have mild shoulder seasons or winters. 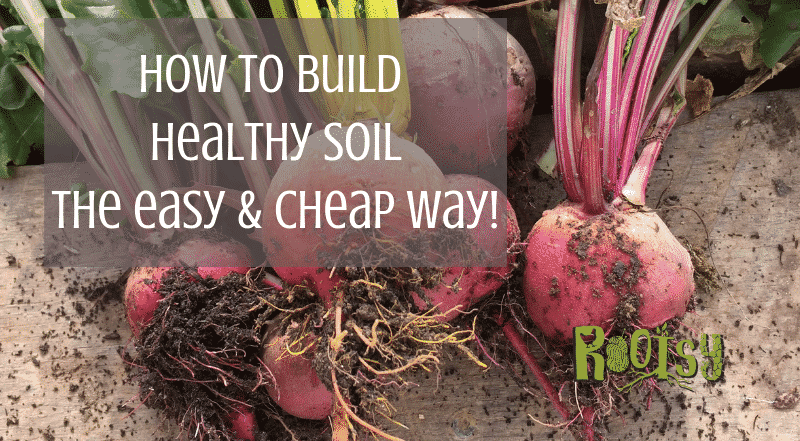 I hope this how to build healthy soil the easy and cheap way helps your garden out this year. Healthy soil comes from healthy, well-fed, and undisturbed microorganisms. Healthy soil will give you the healthiest food for your family. They win, you win! What are some ways you build healthy soil for your vegetable gardens? Amanda and her husband are working hard to turn their little acre and a half into a self-sufficient homestead in south central Alaska. They raise chickens, both egg layers and meat chickens, have a large garden and very large greenhouse. They hope to eventually adds goats to the homestead and maybe even a cow!